As a language learner and teacher, I strongly believe that it is important to listen a lot about the topics you enjoy in your target language. This way you get used to the real (not textbook) intonation, expand your vocabulary, learn to catch the whole phrase, and understand in context and observe how people speak in their daily life. 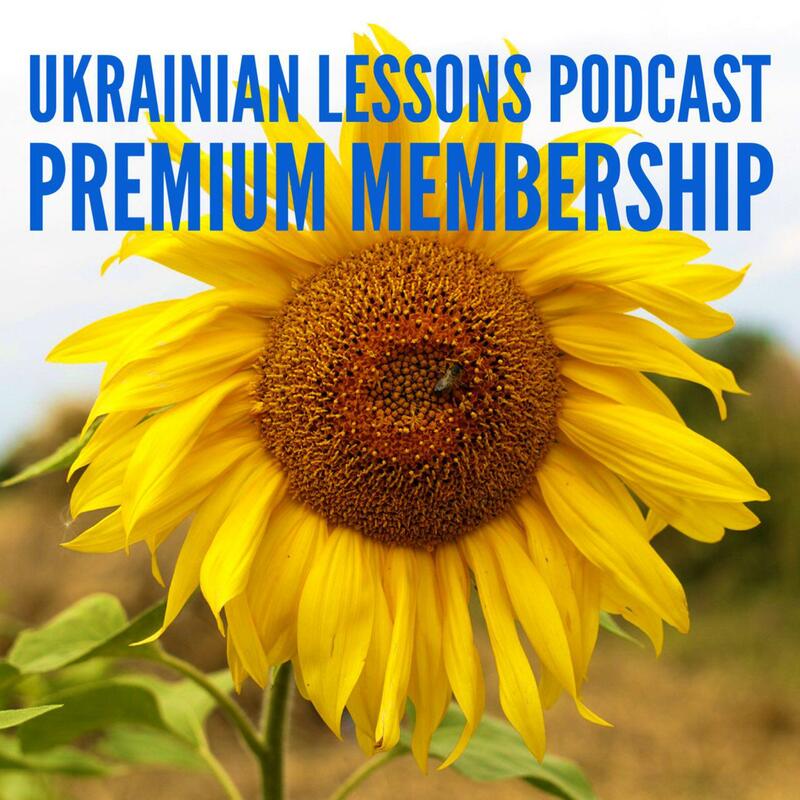 That is why we have created the Ukrainian Lessons Podcast and posted on the blog about the best Ukrainian movies and best Ukrainian radio stations online. Today I want to share with you some great Ukrainian Youtube channels that you could watch to surround yourself with real Ukrainian language wherever you are. If you have already searched for the Youtube videos in Ukrainian, you might have found them difficult to find. The truth is most Ukrainians prefer to record their videos in Russian and they have obvious reasons for that. People in Ukraine might be Ukrainian speakers in life, but we all speak Russian very well, which allows us to get much more audience on the Internet. I am talking about numbers like 1-4k subscribers of Ukrainian speaking channels vs 50-200k Russian-speaking ones on the same topic. Quite a difference. So, those few Ukrainian-speaking Youtubers are basically highly enthusiastic people who just like to do what they do not expect huge popularity or income from their channels. Let’s look at a dozen of those heroes. How similar or different are the Ukrainian and Russian? Find out in my article here. You can also check more Ukrainian channels about literature in her suggested channels on the right. Христина Соломаха is a blogger and photographer from Lviv. In her videos, she talks about fitness, lifestyle, healthy nutrition, and blogging on Instagram. Юля is a young mom with two kids on her maternity leave. In her free time, she makes videos about beauty, children care, lifestyle, and shopping. Also, Yulia interviews the owners of new Ukrainian businesses and start-ups. Костянтин Грубич is a well-known Ukrainian journalist and showman on TV. His program Смачна країна (Tasty country) has been on TV for years. Now he has also a YouTube channel where he posts two cooking videos every day. You can find some great recipes of Ukrainian food and practice your Ukrainian language at the same time. Here, for example, Kostya and a local man from the Zakarpattya region are cooking a traditional Zakarpathian dish – бограч. Very simple videos with the recipes of the various Ukrainian dishes, from the classics like the Chicken Kyiv to the original recipes and ideas for every day. The titles of the videos are in two languages: first in Russian, then in Ukrainian. However, the videos are all in Ukrainian (though sometimes the cook gives the translation of some words to Russian). This technique made this channel so popular among Russian speakers in different countries, even though the videos are in Ukrainian! Blog 360 is an interesting project about traveling in Ukraine created by a group of enthusiastic people. Ukraїner is a series of beautiful videos made during their ethnographical and anthropological expeditions around Ukraine. Відвідати всі країни (“to visit all countries”) is a travel blog of Dima and Inna. They make videos about their trips in Asia, hitchhiking experiences, life in the USA, etc. Their Ukrainian language is informal and could be a good example of some surzhyk (using some Russian words in mostly Ukrainian speech). Two-wheeled Chronicles is a series of journeys around the globe aimed at researching cultures of various peoples and spreading Ukrainian culture (Volodymyr and Yaryna are musicians). Pingvin Pro is a Ukrainian-speaking channel with reviews of gadgets, movies, and games. As a Ukrainian learner, you will like the nice, clear voice of the presenter. Probably the most popular gaming channel in Ukrainian, Play UA features the reviews of games and movies. This is a recommendation of my Hungarian student Attila who says he watches this program every day. It is actually a TV morning program called Сніданок з 1+1 (“Breakfast with 1+1 (name of the TV channel)”). Every morning they have different short episodes about a great variety of topics: lifestyle, celebrities, fashion, health, fitness, traveling, interesting facts, and even Ukrainian language lessons for Ukrainians! You can choose what you like on their Youtube channel. Приємного перегляду! – Enjoy watching!